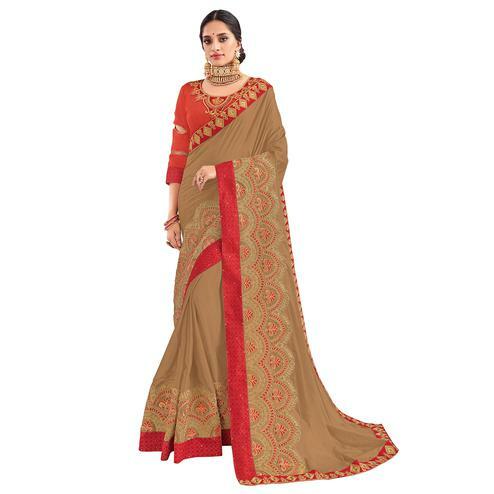 Celebrate the depth of fashion to shine with caliber this season.This half and half style saree with beige & brown color is sure to give you a complete new look and personality. 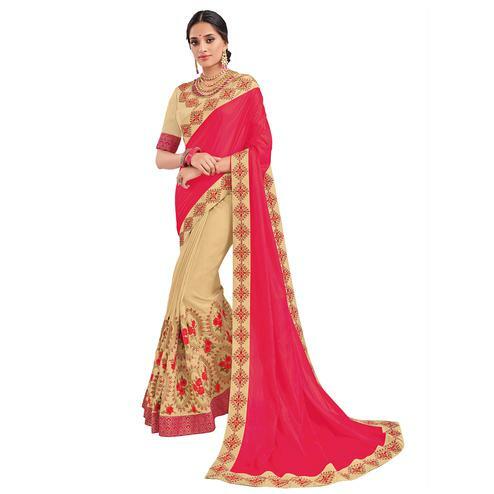 It has been designed using bemberg georgette fabric showcasing embroidered butti work on pallu lower part of skirt and border. Available with slub silk fabric blouse having embroidered work. Suitable to wear for family functions and parties. 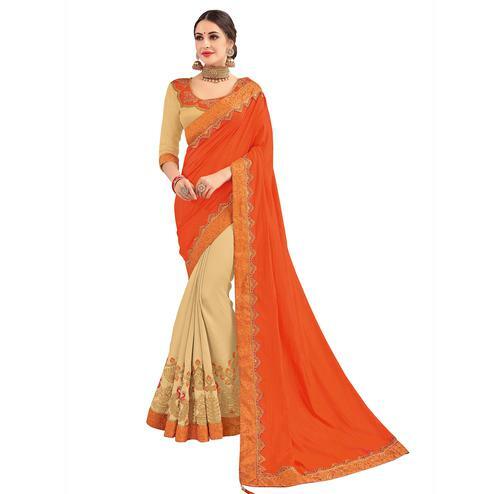 Relish your glamour with this traditional attire to complete your femininity.